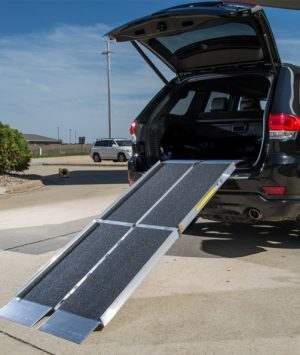 Featuring a seamless, slip-resistant surface, the GATEWAY™ Solid Surface Portable Ramp is the ideal solution when mobility needs extend beyond the scope of a conventional portable ramp. 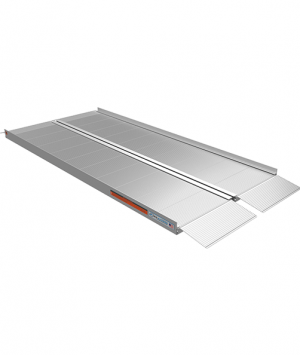 More durable than wood, the GATEWAY is designed for years of maintenance-free use. 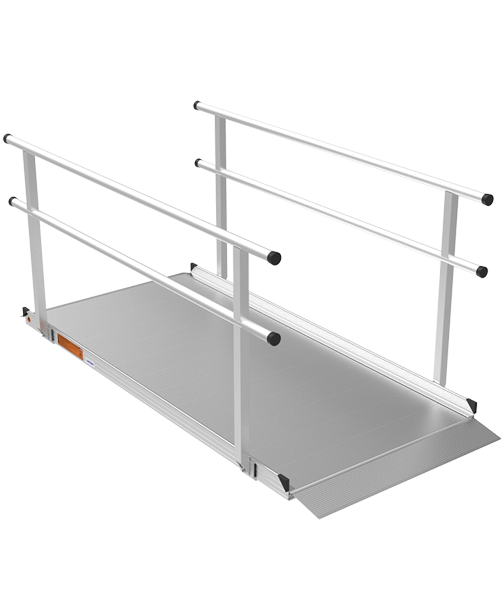 It will not rust or rot from the outdoor elements, allowing you to use the ramp repeatedly without worrying about deterioration. The one-piece design means no assembly is required. All you have to do is set it in place and it’s ready for use so there’s little-to-no disruption for you and your family. Designed with a permanent, extruded slip-resistant surface. 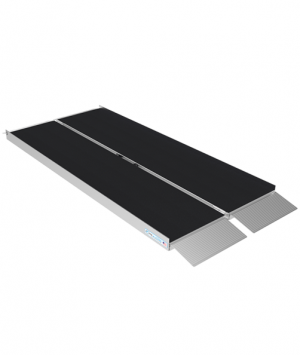 To make the conversion from ramp to ground smooth on most surface types, the GATEWAY Solid Surface Portable Ramp offers a self-adjusting ground transition plate.